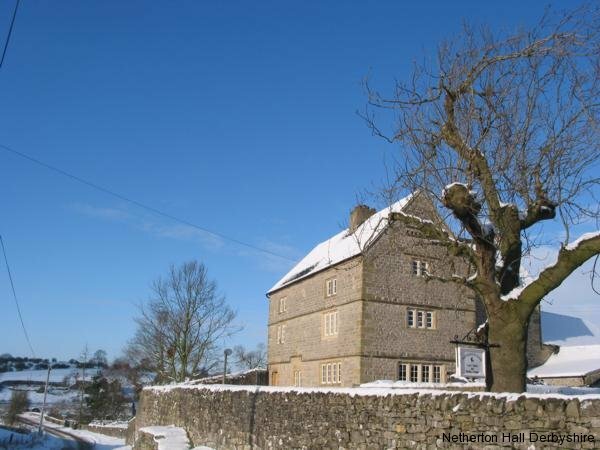 Netherton Hall is a beautiful old Derbyshire hall built by the Buckston family as the principal residence of the tiny hamlet of Nether Bradbourne. 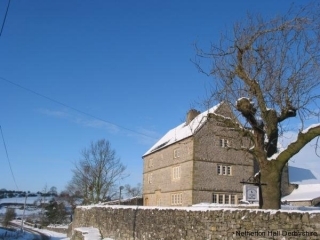 The house and traditional buildings are Grade II listed dating back to 1684, as carved on the date stone on the front of the house, but are probably far older looking at the crook beams on the top floor and the original carved oak staircase. We fell in love with the place when it came up for sale in 2005 and knew it was the perfect home for us, it had such a lovely warm atmosphere. When we bought it Arthur Dutton, who had lived here for over 50 years, wished us luck and said he hoped we would be as happy here as they had been. Since moving in we started carefully restoring the house and buildings, trying to preserve the original integrity of the property: at the same time as having two, babies George born in August 2007 (also known as naughty George) and Ruby born in June 2009. As well as restoring the house we wanted to make it environmentally up to date so we have put in a ground source heat pump to provide heat and hot water and air source heat pumps for the cottages and, soon to be, swimming pool. 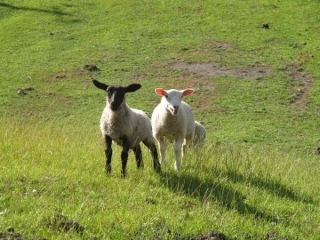 We want to reduce our carbon footprint and preserve the beautiful area we live in for our family. 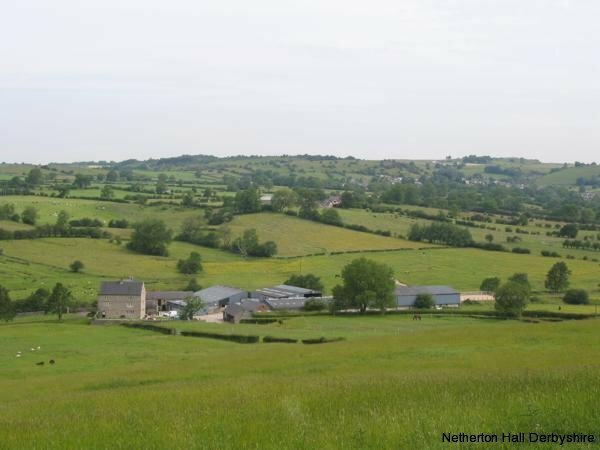 Netherton is set in 195 acres of permanent grassland, a mixture of flat paddocks, a valley and water course. The dumble, as the valley is known, is filled with natural gorse and heather. It has breathtaking views across the land making the perfect setting for the 5 * livery stables. The livery horses have extensive turnout, an outdoor and an indoor menage, farm ride and cross country course. We also realised that Netherton is an ideal location for our small exclusive holiday complex of 3 luxury cottages. We are close to the tiny village of Bradbourne, nestled between Carsington Water on one side and the stunningly beautiful medieval village of Tissington on the other. With easy access to the Pennine Bridleway, High Peak and Tissington Trail and a wide network of bridlepaths and green lanes. We are also on the edge of the Peak District: it is only a short drive to Chatsworth House, Haddon Hall, Bakewell and Alton Towers. Find us on Google too, reviews and more information about us.